The I-10 Busway/ExpressLanes between Alameda Street and the I-710 will experience intermittent lane closures in both directions from Monday, Oct. 31 through Friday, Nov. 10. 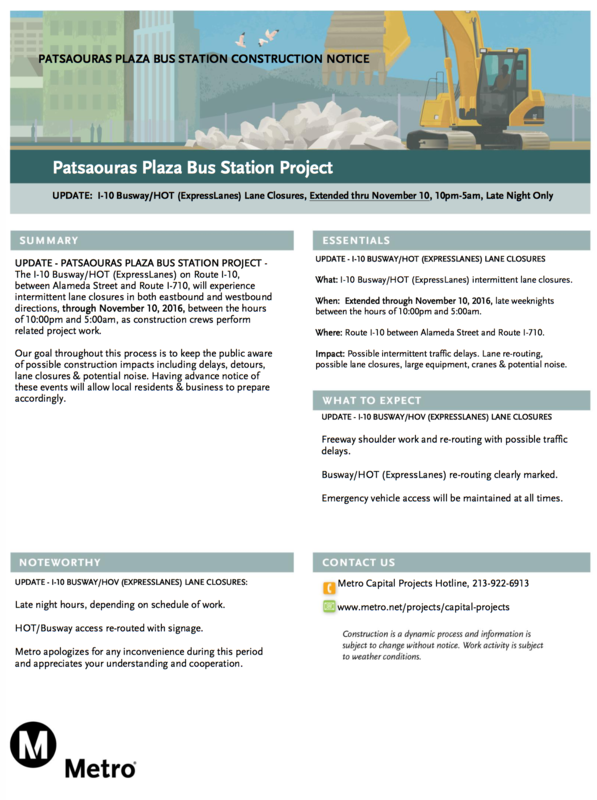 During the closures, construction crews will be working on the future Patsaouras Plaza Bus Station, the elevated platform for the Silver Line which is slated for completion in the first half of 2018. The hours of work will take place between 10 p.m. and 5 a.m. The full construction notice is below. 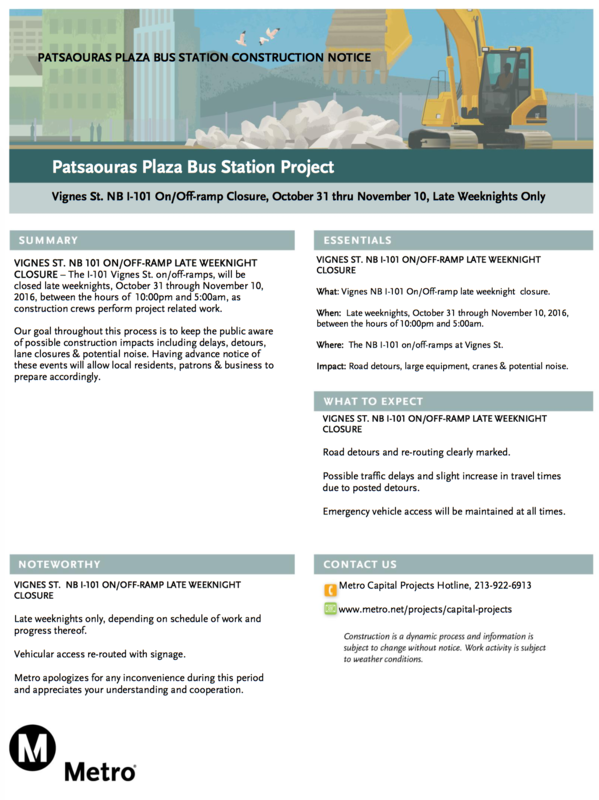 In addition, the Vignes Street I-101 on/off-ramps will be closed late weeknights from Oct. 31 through Nov. 10, between the hours of 10 p.m. and 5 a.m. The full construction notice is below. There does not appear to be a project page for this bus platform at the above link, only construction notices. 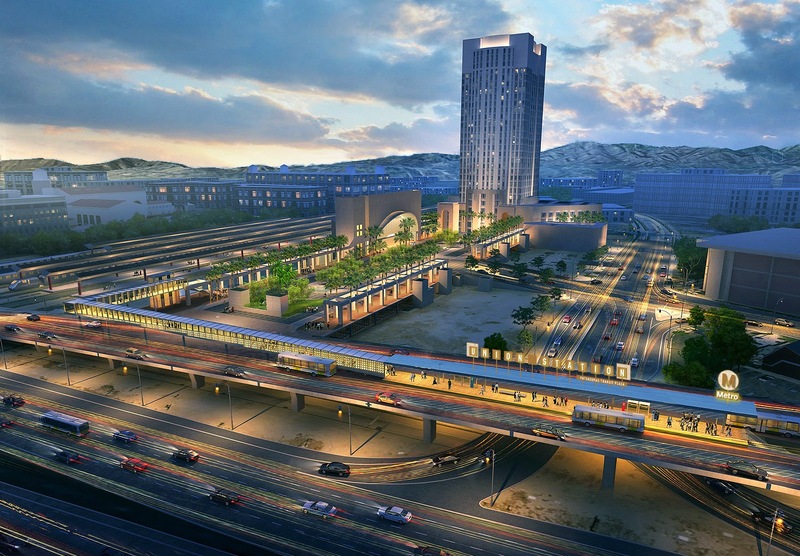 Metro should publish more details on this long overdue project. What will it look like and how will it connect to other LAUS facilities? See this: http://s3-us-west-2.amazonaws.com/media.thesource.metro.net/wp-content/uploads/2015/10/11030623/silver-line-stop.jpg. We have posted several times in the past, just not recently. finally !!!!!!!!!!!!!!! too bad i will never use it .Will have graduated by then, hopefully!